Based in Fort William, we are fortunate to have lots of fantastic rock climbing, with everything from single pitch crags to big multi pitch mountain routes right on our doorstep. 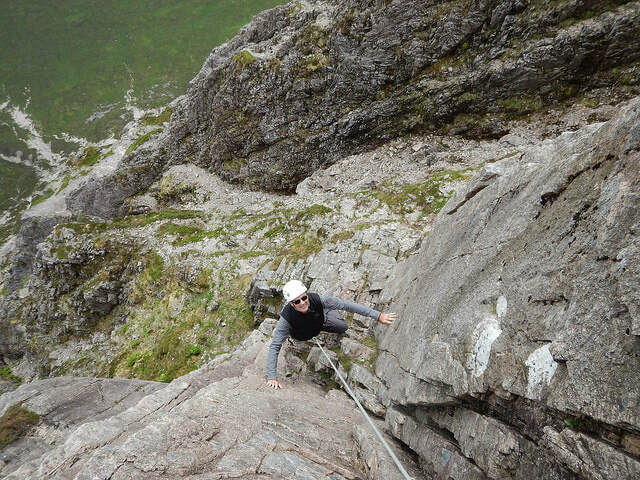 Guided rock climbing can introduce to the world of outdoor climbing for the very first time or it can take you onto classic mountain routes on Ben Nevis, Buachaille Etive Mor or Bidean nam Bian. 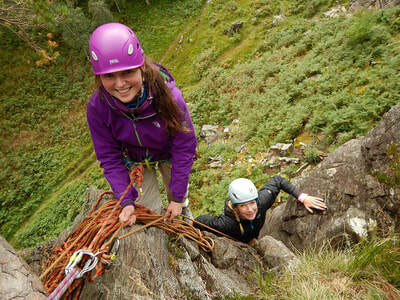 Just a short drive away in Glen Nevis we have easy access to a huge selection of crags perfect for those who want an introduction to rock climbing, learn how to lead or practice some rescue scenarios. ​There are so many options so after a chat with your guide you will be able to decide on the perfect plan or route to suit your goals and ambitions. 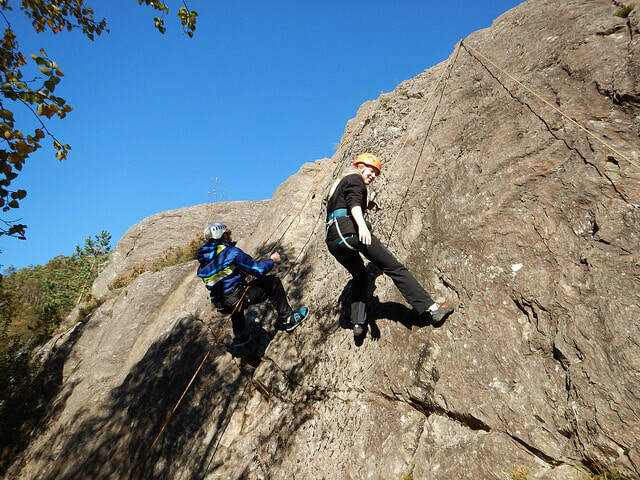 Rock climbing is available with a private guide on any day of the week so get in touch to check our availability and make a booking. A ratio of 1:2 is ideal for multi-pitch climbing enabling any route to be tackled and lead climbing to be coached. Tower Ridge on Ben Nevis can be done with up to three people with one guide. Larger groups are mostly limited to single-pitch crags but all aspects of climbing can still be covered.